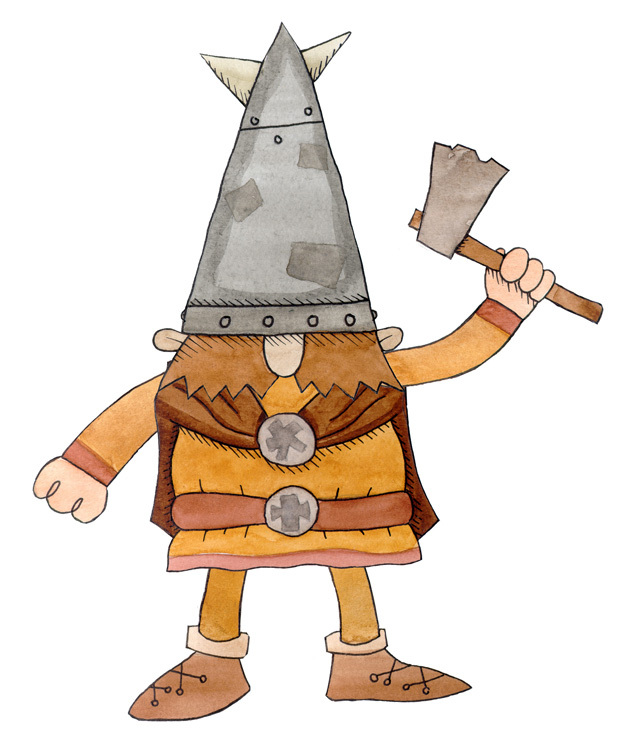 Here is one of the Vikings that were in the flash back bit in Robbie and the Vikings. Mr Paul did this section as cut out in after effects. The characters and BG's were designed by Mr Tim and drawn by Mr Gary . Click on the Robbie Tab to see the other pictures.